Proof Liberty Seated half dollars were designed by Christian Gobrecht and were struck from 1839 through 1891. 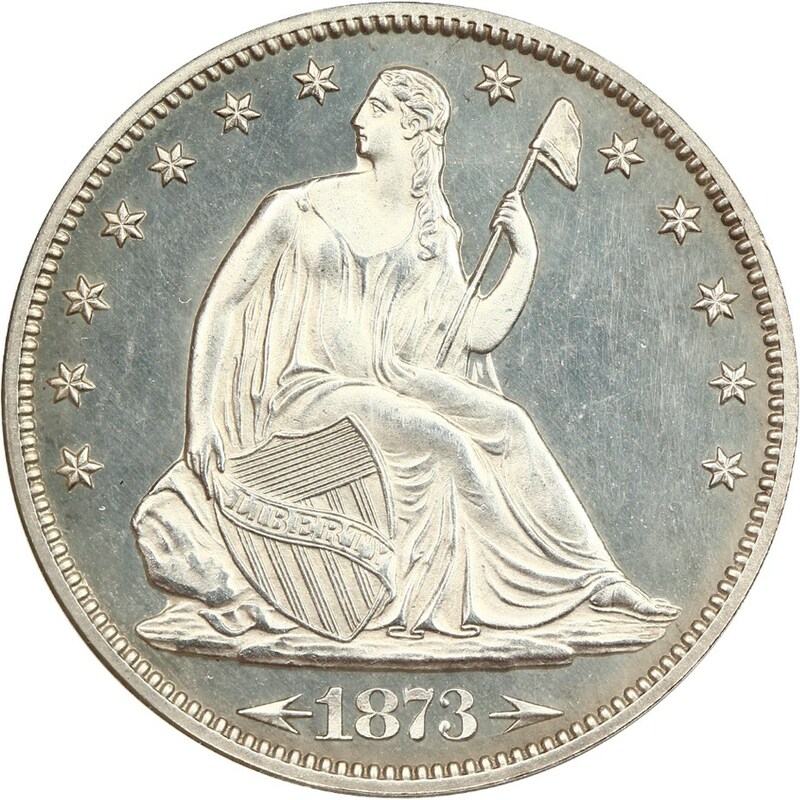 The Liberty Seated motif was one of the longest-running designs in United States history and was seen on several silver coins, but the design was modified over the course of the decades to accommodate changes to the coin?s physical weight and also to incorporate various elements that were added to or removed from the obverse and reverse. Proofs were struck throughout the duration of the series, but the early proofs are extremely rare, trading well into the five-figure price territory. Later proofs, those struck in the 1860s and beyond are relatively more common. Proof Liberty Seated half dollars with brilliant surfaces command premiums, and proofs with cameo contrast are exceptionally rare and trade for much more than prices listed for ?standard? proofs.